I made mine rather hot. 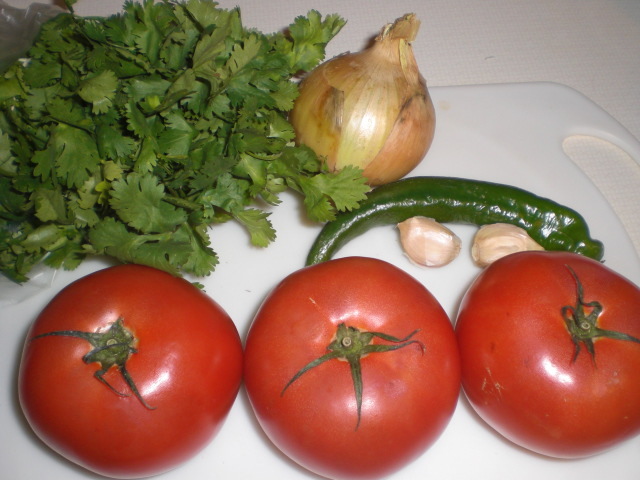 Mince your garlic, dice your onion and chop your tomatoes. Put into a medium sized bowl and mix together. 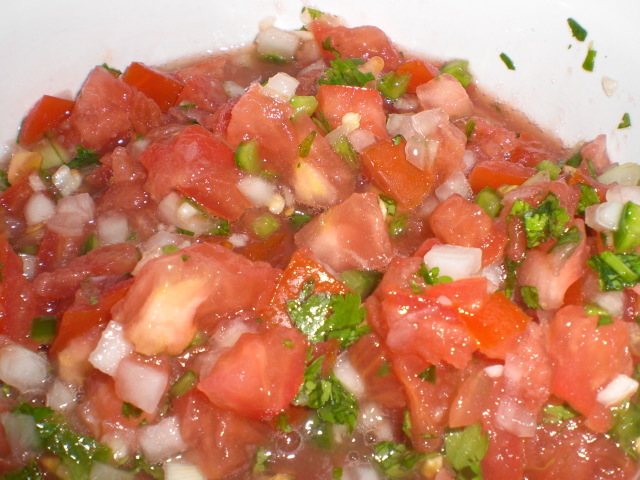 Chop your cilantro and pepper and add to tomato mix. Add the juice of a lime, stir and refrigerate. Let it sit for a bit so the flavors marry. (It’s equally good if you don’t..I suppose it’s personal preference). 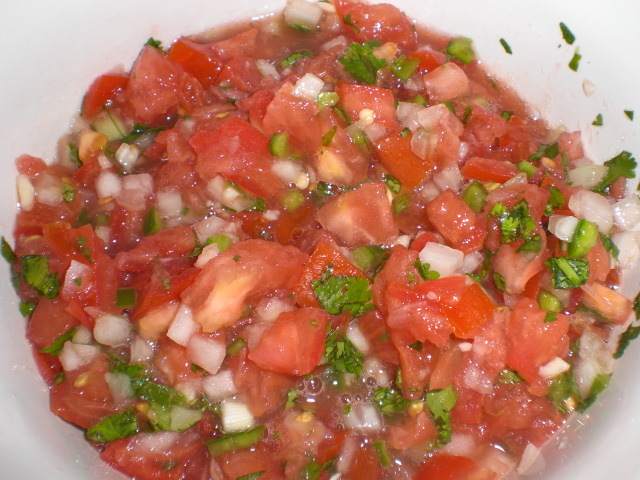 Enjoy with chips or use in your favorite recipe. I do have to comment on the onions I have been getting from HighCross Farm. They are the best tasting onions I have ever had. They put store bought onions to shame. Same goes for their garlic.